CLEVELAND, Ohio -- OK, so it's the new year, and maybe you've managed to cut back on smoking those Cuban specials or using the "foot wedge" one too many times on the golf course or running up your Visa by purchasing every single golf gadget that flashes before you on television. "Very good, very good," your psychotherapist would say, stroking his mustache and pretending to care as you play Amen Corner in your dreams on his leather couch. But there's one thing you left out. It's time to drop the bag of cheese doodles, get off the couch, turn off The Golf Channel, and repeat this line: "I resolve to be smarter in booking my golf travel in 2003." That won't be too difficult, will it? What could be worse than what happened last year? The golf course and "resort" looked good in the brochure, right? But when you got to Scum City, U.S.A., the motel was colored bright pink. And the golf course? Well, it turned out to be 36 holes of pitch-and-putt that doubled as a monster truck track for Jim Bob the owner and his twin brother, Amos. It wasn't necessarily a bad venue that got Phil Constantino rethinking his golf vacation plans in 2003. 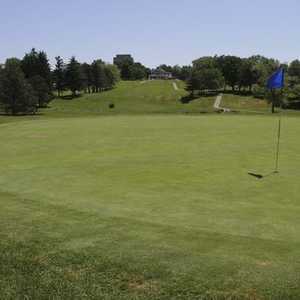 The North Royalton, Ohio resident has been booking golf trips for between four and 16 friends for 20 years. He estimates that his group has played 45 different courses in Myrtle Beach, not to mention Oglebay and other courses in West Virginia as well. But last year he and his buddies had a really bad experience that has him resolving to never, ever fly to Myrtle Beach again. "It was horrible," Constantino groans. "On the way home, our connecting flight in Pittsburgh was canceled. The airline gave us vouchers to drive home, so we all took cabs at a cost of around $400. But we got home really late, and I was so unhappy that I'll never fly again, even though it is quicker." But what's a new year if you don't break one of your resolutions? After all, nobody can keep their promise on all of them. Every year, Constantino resolves to not let any of his friends sign up for less than seven days. But every year he inevitably breaks the rule for a precious few because he doesn't want to shut anybody out. "My problem is catering to my friends, and not everyone can get away for seven days," he says. "So I let guys sign up for four or five days, which makes my job a lot more complicated." Guy Rini is also no stranger to golf trips, which means he also has developed a long list of dos and don'ts when making his travel arrangements. A retired railroad worker in Middleburg Heights, Ohio, he's been traveling south for links action with as many as 40 of his friends for 30 years. For a long time, he and his buddies went to Myrtle Beach, but that all changed recently. "This year, I've resolved to continue to go back to Columbia, South Carolina," Rini says. "We used to go to Myrtle Beach and Wilmington (North Carolina), but that got too expensive." 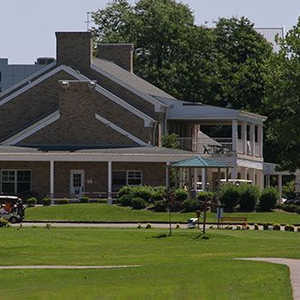 So far, Rini and his pals have found great golf and hospitality at Columbia courses such as LinRick Golf Course, Oak Hills Golf & Country Club, and Coldstream Golf Club. That hospitality and friendliness is key, Rini says, especially when it comes to the pay arrangements. In the past, Rini had secured a fixed rate from the courses based on the number of golfers in his party. But now he has resolved to only secure the greens fees once the group arrives at the course. "With the way it used to be, if a guy ended up not being able to play because he had an emergency back home or got injured or something, you couldn't get your money back. Now I handle the money when we get down there," he says. "When you tell them you have 32 guys coming down, that's a nice day for a golf course. They give us a nice price, and it's nice for us, and we never have any problems." Rini's got two more New Year's resolutions this year when it comes to booking his annual golf trip: keep it in April, and keep it to no more than 40 golfers. "We've gone in February and March before, and there was always an issue with the weather," Rini says. "Now, we go in April the week after the Masters because the prices drop." And don't think about calling Rini and trying to coax him into taking you on as the 41st member of his links squad, unless of course you want a 9-iron planted in your skull. "Every year I hear gripes, but I tell them, 'You don't have to run this thing. I do.' 40 guys. That's it." 1. Don't ever think it's too late to book your trip. We can always find something for somebody. 2. Make your airline reservations first. It's not worth calling us to book everything else if you can't get airline reservations. 3. Bring a light coat or sweater if you're going to play golf in winter in Florida. This winter has been the fifth coldest ever. 4. Don't leave your family behind. There's plenty for them to do here too. 5. Book through a travel company because they have the scoop on everything. It's the kind of insight you can't pay for.